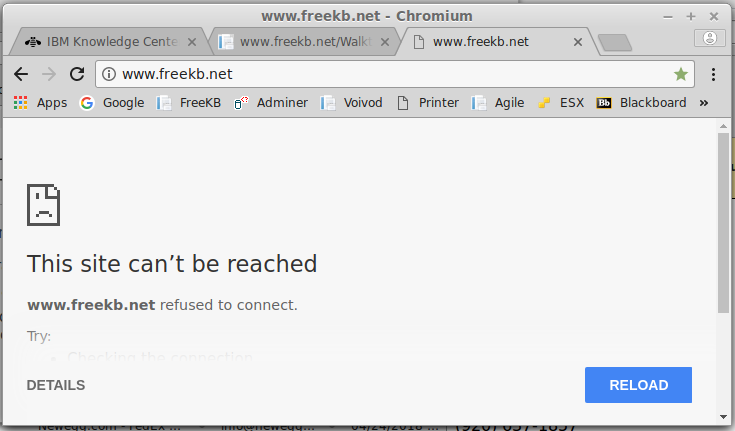 When a Linux web server fails to properly produce content, such as HTML pages, Chrome will usually display "This site can't be reached." 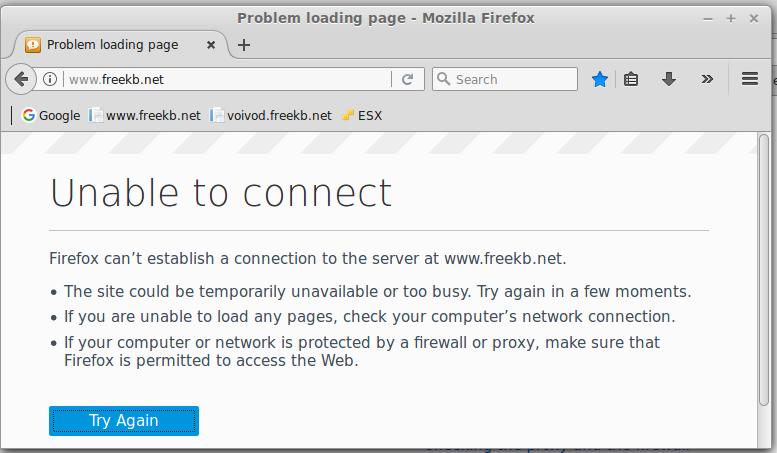 Firefox will usually display "Unable to connect." Use the ps command to determine if the web server processes are running. In the output of the ps command, ensure there are 4 lines for the web server processes. If there are no active processes for the web server, you will need to start the web server. If the web server fails to start, use the nslookup command to determine if DNS is able to resolve the hostname to an IP address. If not, DNS will need to be configured. Also ensure the httpd.conf file is listening on port 80, and has the IP address of the operating system. Check the web_server_root/logs/error_log for event “server reached MaxClients setting”. If this event is found, restart the web server. The MaxClients setting, which is usually 300 or 600 simultaneous connections, can be found in the web servers httpd.conf file.